I’m sure that most of our loyal readers have come to this post expecting it to be a rundown of five amazing things we ate while in Taiwan. After all, when I first began relaying our stories about Taiwan, I shared that the primary mission for our visit was to eat our way through as much of the country as the non-elasticized waistbands on our clothing would allow, so that would be in keeping with our raison d’être as travelers. However, as much as Taiwan proved to be a gastronome’s paradise, there was something about the country that we loved even more: the people. During our 18 days in Taiwan, we CouchSurfed with three hosts for a total of 13 days. What readers of this site may not know is that I am actually intensely introverted and being around anyone other than Tony and close friends for prolonged periods of time tends to exhaust me, so the fact that we spent 72% of our nights in Taiwan in the homes of strangers is perhaps a surprising choice on our parts. And yet I am 100% certain that our decision to CouchSurf through the bulk of Taiwan was in actuality the thing that made our time there so extraordinary. I once read something that described the Taiwanese as “aggressively helpful”, and having been on the receiving end of assistance (wanted or not! ), I can’t disagree with that assessment. Throughout the country we encountered countless eager and solicitous people who looked out for us and helped smooth some of the wrinkles that traveling can bring, from the man in Taipei who ordered us lunch, to the couple who made sure we got on the correct bus to see the National Palace Museum. But looking back, our best memories and moments in Taiwan happened because of the connections we made during CouchSurfing and I would feel remiss if I didn’t shine a light on just how awesome these people were. Jackie hosted us in Taipei, and was both our first and last host—we got along so well that when we mentioned that we would be passing back through Taipei for one night at the end of our trip, he simply said that obviously we would have to stay with him again. Before staying with Jackie, we had spent a few nights in a hostel that had plenty of perks (the amazing night market just outside its front door being one of them!) but our decision to try to connect with some locals was definitely the right one. Jackie knew that the way to our hearts was through our stomachs, and so we first met at the famous ShiLin Night Market. As Jackie guided us to all the best stalls and filled our bellies with one delectable treat after the next, it was truly love at first bite. Excited to introduce us to his favorite foods, Jackie is responsible for printing us out the master list of the best Taiwanese foods to try, and it is because of him that we got to devour what must be the country’s best Beef Noodles and were introduced to the delightfully zesty ginger duck hot pot. One thing to note is that Taiwanese hospitality tends to dictate that guests do not pay, and while we never expect our CouchSurfing hosts to pay for us (they are already providing us with a place to stay and insider knowledge of the city, after all! ), Jackie would distract us with food and then dart off to pay the bill! We managed to beat him to the punch a few times, but he definitely kept us on our toes! I think there are few people in this world who are as kind and generous as Jackie. We took to referring to him as our Taiwanese fixer as he took it upon himself to get us a SIM card for our phone, located and coordinated with our non-English speaking B&B host in Alishan, put us in touch with a friend of his in Hualien for when we would go visit Taroko Gorge, and dropped us off at the airport when it was time for us to fly to our next country. When he managed to track down a replacement underwater camera & housing for us and negotiate the sale, we knew he was our guardian angel and we were very lucky CouchSurfers indeed. We CouchSurfed quite a lot while in Taiwan, which was definitely an anomaly for us as we tend to be pretty choosy about who we send requests to. Some Surfers just blanket every available host with requests, but I’m sure that part of the reason we have always had such fantastic experiences is because we only send requests to a few hosts, and only those that we actually think we’d enjoy meeting and spending time with. When I read that Hans was Taiwanese but had been raised predominantly in Canada only to return to Taiwan to pursue his PhD in Physiology, I figured we’d have a lot to talk about. I was right! 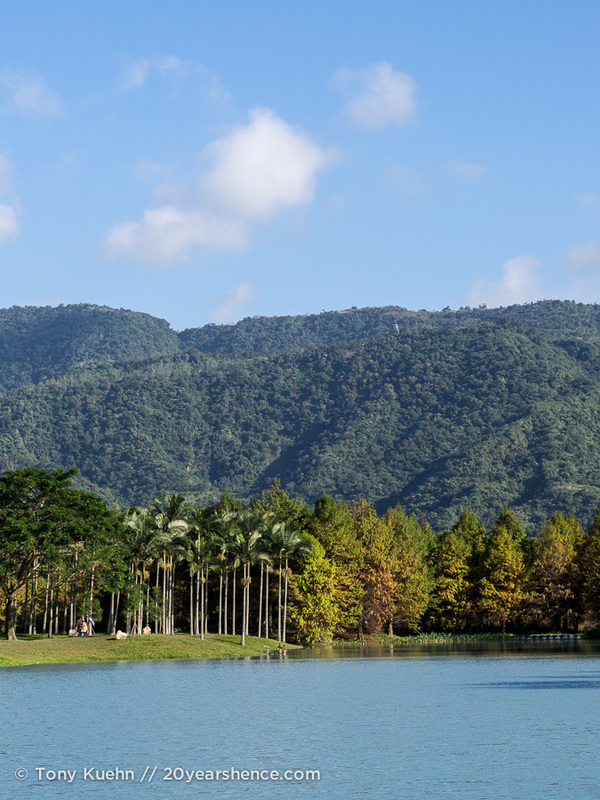 Normally we try to stay with local hosts rather than expats, but I figured Hans would have some interesting insights into Taiwan and its culture that someone who had simply lived in the country his entire life might not. My intuition bore out, because not only could Hans speak to us eloquently and decisively about contrasts between Taiwan and North America, but his return home had prompted him to delve deeply into his native country’s history so he wound up knowing a lot more about Taiwan’s tumultuous past than the average person likely would. He shared with us plenty of juicy tidbits about what the Taiwanese think about China and its former occupiers, Japan, as well as the local history in his adopted home city of Tainan. It was also really fascinating to speak with him on the issue of cultural identity because although Hans is proudly from Taiwan, his years in the west have changed him enough so that he is still sometimes viewed as an outsider. This struggle to feel like you belong is one that any long-term traveler (or anyone who has ever moved to a new city or country) can understand, and I know that Tony & I both really appreciated how candid Hans was in his discussion with us. The evening we arrived, both he and his girlfriend had come down with a terrible stomach bug and Tony & I considered checking into a hostel the next day so as not to inconvenience them and let them recover in peace. Hans would hear none of it, however, and insisted we stay, and even took time away from his busy research schedule to show us some of his favorite pockets of the city. 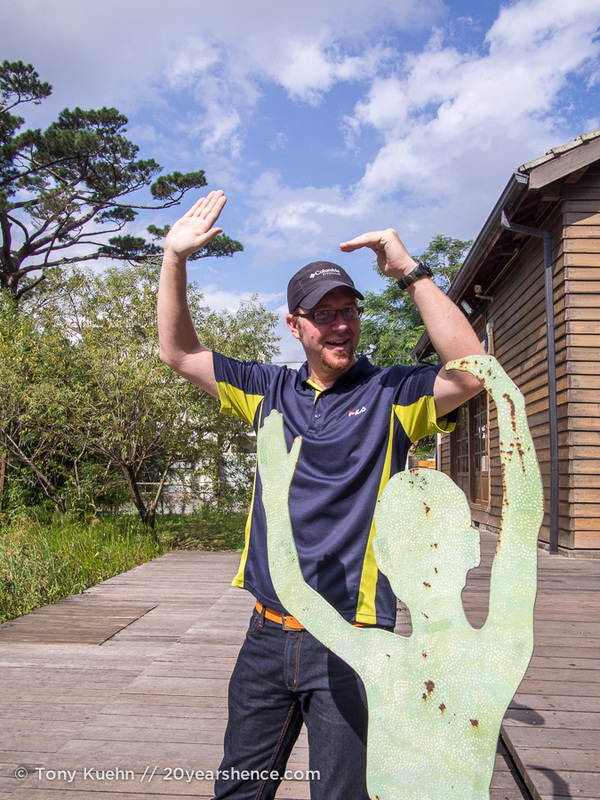 It’s also all credit to Hans that we strolled along the waterfront in Anping & stared out at the Taiwan straights, visited the historic canal district and viewed the up & coming artistic installations, and flipped the switch on a new love affair with hot pot. Without him guiding us, our time in Tainan wouldn’t have been half so rich! If you ever need proof of just how hospitable the Taiwanese are, look no further than Ingrid! In actuality, we met Ingrid not directly through CouchSurfing but through Jackie as they have been friends since highschool and when Jackie heard we were planning to visit Hualien, he got in touch to see if she could meet with us. Ingrid was game as she would be heading to Canada to study abroad for a year in Vancouver not long after our visit and so was keen to practice her English with some native speakers and talk to us about Canada. Jackie told us that regretfully Ingrid did not have room to host us, but she would like to show us some of the local sights and would find a scooter for us to use while in town. So it was that when we showed up in Hualien, the first person we met was not with our CouchSurfing host for the few days we would be there, but with Ingrid. She met us at the train station and handed over the keys to a scooter we could use for the next three days. We would later learn that in fact Ingrid had given us her own scooter to use and arranged to borrow a friend’s for herself so that we could get around, an act so thoughtful and selfless it astounded us. Ingrid had to dart back to work, but she checked up with us over the course of the afternoon to make sure we were ok (she was especially concerned for our safety and well-being when it began to rain) and later in the evening when we were waiting for our host back at the train station, she came to keep us company and even brought dessert! We had primarily visited Hualien so that we could visit Taroko Gorge, but it turns out that even beyond Taroko, the countryside is beautiful and well worth seeing, so Ingrid played tour guide for us on one of our free days and we went on a scooter adventure down Highway 11. To say that the scenery was stunning is an absolute understatement. 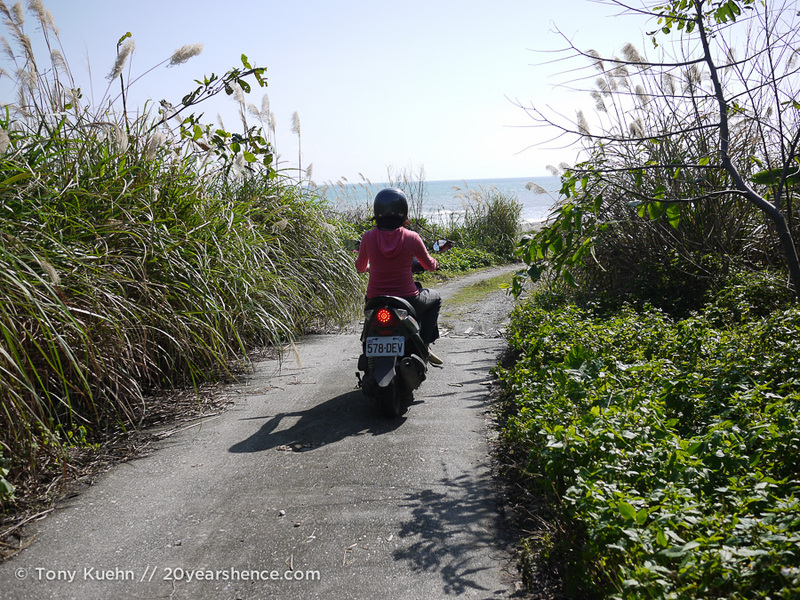 We traced the dramatic coastline on our little motorbikes, finally getting a taste for the diversity of climate that the country experiences: for the first time during our visit, we finally got the sense that Taiwan is actually a tropical country. When we made our way down to the beach, we all lamented the fact that the deadly currents meant that swimming was off the table. 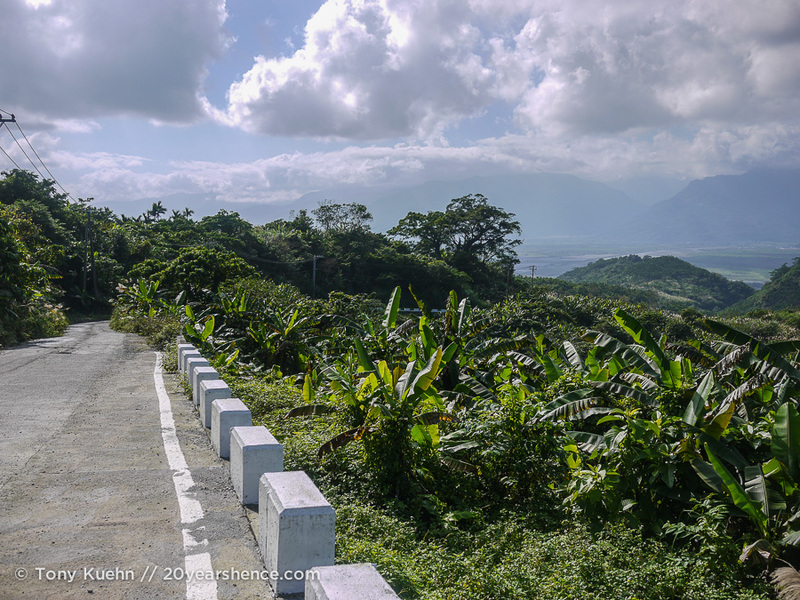 Our tour with Ingrid took us on perilously slippery roads up into rugged mountains that seemed impossibly old and were dotted with palm and banana trees as far as we could see. Everywhere we looked, the world was blanketed in the lush green of the tropics, so it was a real shock to the system when not an hour later we were standing by a manmade lake where palm & conifer trees naturally intermixed (the first time I’ve ever seen that!) and the leaves of other trees had begun to deepen into the red blush of autumn. We had an amazing day out with Ingrid; she really went above and beyond to make sure Hualien wowed us, and all so that she could spend a little time with us and practice her English. At the end of the day, I am pretty sure that my cheeks hurt from having laughed and smiled so much during our time with her, and we parted regretting that time would not allow us to meet up again. Only, Ingrid made sure we had time for one last quick meet-up, intercepting us at the train station before we headed back to Taipei, hugging us tightly to her and then pushing a bag filled with snacks into our hands so we wouldn’t risk going hungry on the 3-hour journey. If there’s one thing I love most about the Taiwanese, surely it must be how seriously they take their eating! Although Jackie assured us that Ingrid could find us a B&B in Hualien, we decided that CouchSurfing was far too much fun and wound up securing one of Dai Dai’s two guest bedrooms, which had one of the softest beds we had had the pleasure of sleeping on in the past five months. Asia is the land of many things, but soft beds ain’t one of them and this baby was like sleeping on a cloud! While we stayed with her, Dai Dai was working on getting her Masters in Social Work and her husband, Gary, works as a park ranger over at Taroko Gorge. What this meant was that we now had an inside track to the park and Dai Dai pored over maps with us our first evening with her, showing us all the places we had to make sure not to miss, as well as pointing out bits of the park that were currently closed due to landslides and typhoon damage. She gave us tips on where the local Carrefour was so that we could pick up a picnic lunch for our day out, and also told us that we should try to be done by 3 pm because that was when all the buses with the mainland Chinese tourists show up and once they were there, the fun would be gone. We followed her instructions down to the letter the very next day and wouldn’t you know, she was right on the money! 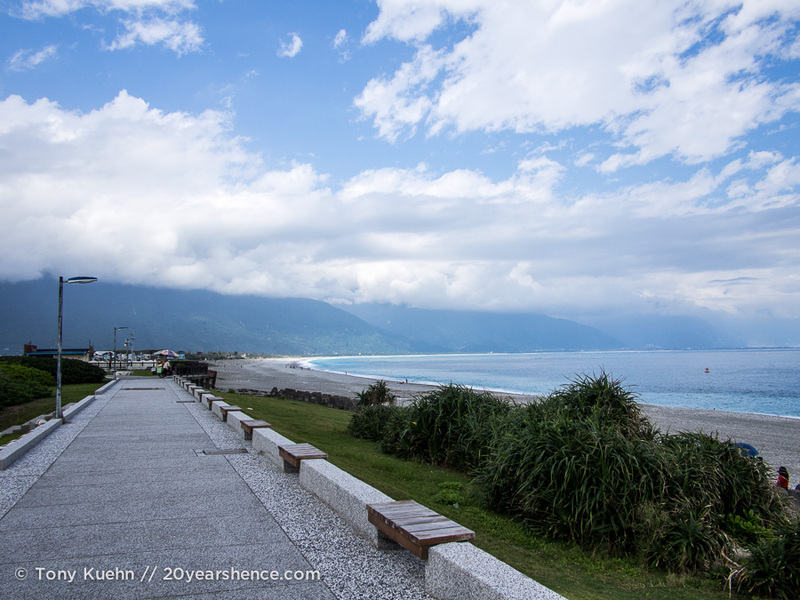 It’s easy to lose track of time as a traveler—were it not for our wristwatches, we’d have no idea what day of the week it is most of the time—but we were lucky that our stay with Dai Dai spanned a weekend so that she could take some time to show us some of her favorite local sights in Hualien. This included a truly incredible, but unsigned, breakfast shop (again, more on this in our next post…), a quick peek into the local sculpture museum, and a visit to a place called the Pine Garden, which is a repurposed Japanese building that has been transformed into an art space and gives panoramic views of the city. 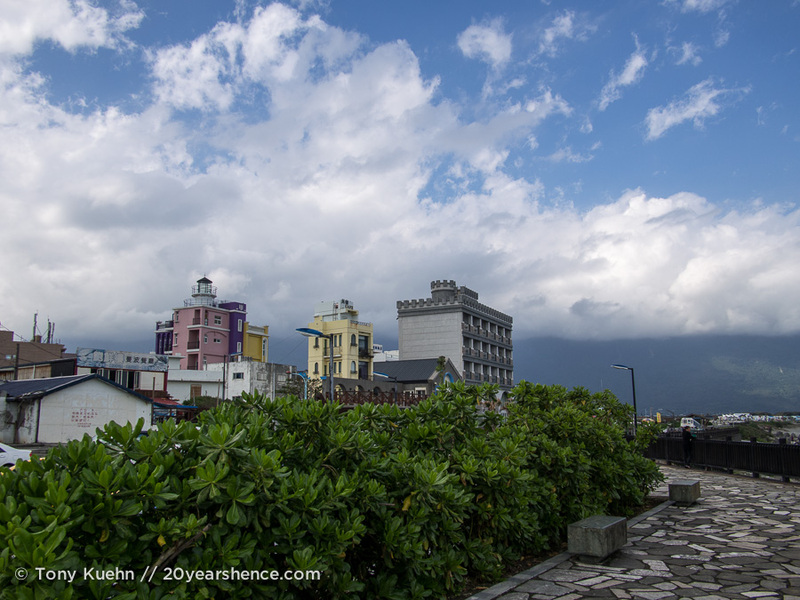 From way up on the hill, we could gaze out on Hualien and really appreciate the effort that is taken in making every building visually interesting and aesthetically pleasing. It’s rare for a building to simply be drab or boring, and Taiwanese cities are the opposite of uniform: there are always unexpected pops of colors throughout the skyline, and it’s not unusual for three neighboring buildings to each exhibit a different architectural style (or confluence of styles). Personally, I think this is the very best thing that can happen when cultures collide and merge; rather than the original cultures being watered down or lost, I find you tend to get something new and layered and ultimately larger than its individual constituents. When I mentioned this to Dai Dai, a shy smile graced her face and she told me how happy she was to hear me speak so lovingly of Taiwan in this way. Dale & Franca of AngloItalian Follow Us! 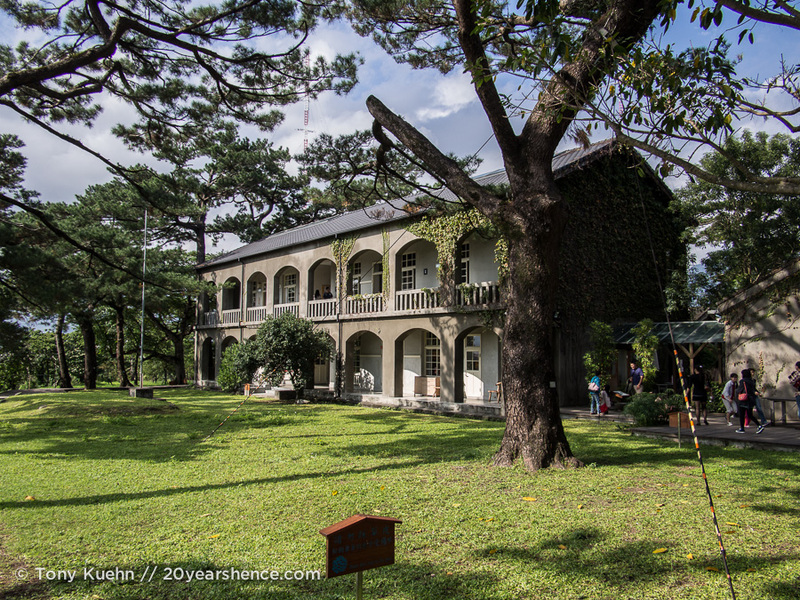 Well, the name of their blog gives away the fact that neither Dale nor Franca are Taiwanese, but nevertheless, they were certainly one of our highlights from our time in the country! Ever since the moment I had tweeted our arrival in Taipei on Twitter, Dale & Franca had been on my radar as they were traveling the country at the same time. We kept expressing our hopes that our paths would cross, but unfortunately it seemed that one of us would always be a day too late upon arriving in each new city. 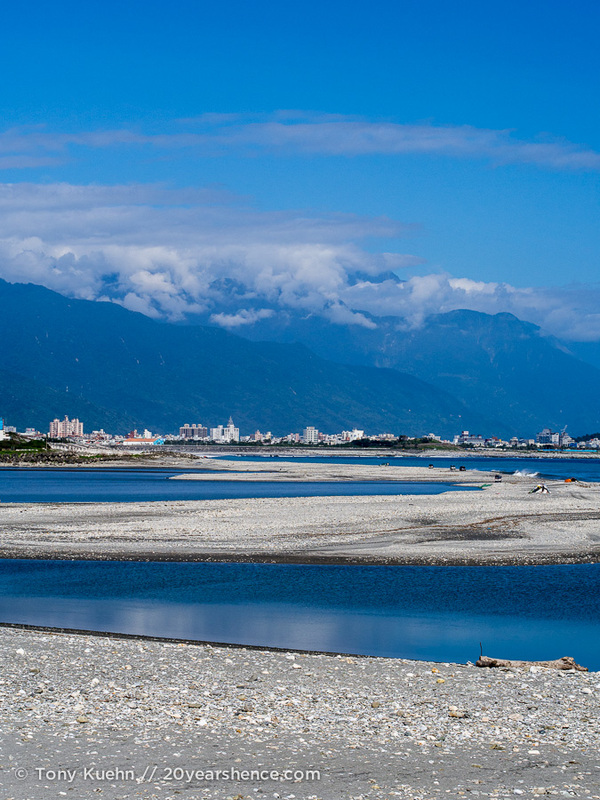 That is until we arrived in Hualien. Dai Dai mentioned to us that after our first night, the second guest bedroom would be taken by another couple traveling the world and that she thought they also had a travel blog. We said that sounded good to us, but never put two and two together until we straggled in, soaking wet after our day touring Taroko Gorge to find Dale & Franca sitting on the sofa! It’s moments like this when universes intersect that this big, crazy world suddenly seems a whole lot smaller. Though we’d never met in “real life” before, sometimes with friends it’s as it is with lightning: instantaneous and electrifying. Within minutes we were off to the races, chatting and joking around like we had been friends forever. Dai Dai had asked us if we wouldn’t mind contributing to a potluck style meal that evening, so while team AI Follow Us whipped up some cracking bruschetta, 20YH did our level best to pull together a Chicken Tikka Masala, while Dai Dai was manning (what else!) the goat hot pot with a herbal stock. We stuffed ourselves until there was nothing left on the table, and then after Dai Dai & Gary headed to bed, the four of us stayed up late into the night, whispering and giggling about the ins & outs of life on the road. And then the following evening, when we discovered it was Dai Dai’s birthday, we made some drinks and some birthday cards and did it all over again. It’s a miracle we all made it out of bed the next morning to head off to go on Dai Dai’s aforementioned whirlwind tour of Hualien, but somehow we managed it and I’m glad we did. Our final stop before we sadly headed to the train station was Qixingtan beach where we strolled the rocky shore for a bit before heading to the small, eccentric museum that is proudly dedicated to the art of making bonito (dried fish flakes used as seasoning), a local specialty to the region. In addition to the exhibit on bonito, the museum also has a small, but colorful, aquarium tucked away in a back corner, which is where we wound up spending most of our time. It was hard to say goodbye to Hualien, but even more difficult to say farewell to our band of new friends. The late nights spent laughing and bonding were just a drop in the bucket and it felt like we were leaving far too soon, but alas, this is life on the road for you. When you’re lucky enough to meet up with kindred spirits, you know your time together is measured by a clock ticking down, and eventually the moment will come when you spin away from each other to different parts of the globe with the hope that one day your paths will intersect once more. Saying goodbye to Dale & Franca, we knew that they were the kind of people worth making plans for, or maybe even changing them, and sad as it was to wave goodbye, I knew deep down that it wasn’t the last we would see of them out here on the road. We’ve all of us got dreams way too big for them not to bring us together once more! One thing we’ve learned about ourselves as travelers is that as much as we allow our stomachs to lead us, it’s really our hearts calling the shots, and at the end of the day, it’s the people we meet along the way that ultimately make or break a place for us. So while we ate incredibly well while in Taiwan, most often when I look back on our time there, the thing I remember firstly and most fondly is the incredibly kind & generous people we had the good fortune to meet while we were there. When I tell you that Taiwan is a beautiful country, that’s the truth, but to see it most clearly, look not to its mountains, forests or stretches of coastline, but to the faces of the people you meet there, for it is with them that you will lose your heart. This is a very inspiring post. I’m glad that the people you met really made Taiwan stand out for you. I kind of wished you had delved a little more into what Hans said about Taiwan’s relationship with their closest neighbors Japan and china. Especially since alot of people think Taiwan is just a smaller version of china. Hopefully one of these days my husband and I can live there. I bug him enough about it. And when we do, I can finally get my fill of that delicious hot star chicken. Daily. I was really surprised that I have wound up enjoying CouchSurfing as much as I have because I often experience “stranger danger” and really do value my private time. But without a doubt CS made our time in Taiwan and I’m so glad we decided to give it a shot; our time there wouldn’t have been half as rich if we had just stuck to ourselves and by meeting so many kind & wonderful locals, I know we gained a much deeper appreciation and understanding of the country. After weeks of just missing each other all over the country, I was dumbstruck to find we were sharing the same host! You guys were the first bloggers we met on the road, and it definitely changed the way we approached travel as we realized that connecting with other travelers, not just locals, would add yet another layer to our trip. You can stop now with all of the talk about Taiwan, you got me convinced. I WANT TO GO TO TAIWAN and have a million best things! 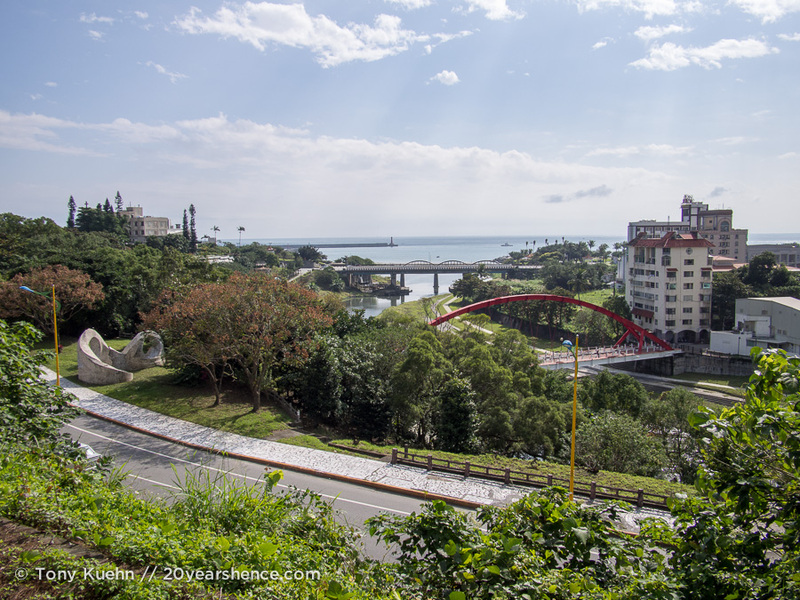 I’ve been reading quite a bit about Taiwan since I’m thinking of going there next year – the friendliness of the people seems to be the common theme here. Glad to hear you had a great time there and hopefully I’ll get to experience it myself soon. There are so many great reasons to visit Taiwan, but for sure, the friendliness of the locals was definitely one of the biggest highlights. I hope you do visit next year (we want to go back! )—you will have a blast! Don’t mind me, just crying. Crying that I don’t have that glorious beard any longer…oh, and that it’s been far too long since we last saw you guys face-to-face. I’ve got to admit it that you’ve summed up Taiwan and the people who live there incredibly well and better than I think I could have done. The incredible hospitality, the charm and the never fading smiles are one of my fondest memories from our time there and you two wonderful souls were the icing on the cake. We’ve been really lucky to have met some truly wonderful travelers in our past year on the road, but you & Franca were our first & will always have a special place in our hearts. You set the bar incredibly high and definitely made our time in Taiwan so very special. Can’t wait for our paths to cross again one day it’s been too long! We had a chance to visit Taiwan when my husband was invited by a Taiwanese physician who had trained for two years in my husband’s research laboratory in Philadelphia, Pennsylvania in the U.S. We had invited him to join us for Thanksgiving dinners when he was in the U.S. He and his wife were lovely. They showed us around Taipai and then sent us off for a 3 day tour of the country, including Sun Moon Lake and Tarako Gorge. There is no question that travel experiences are enhanced when you have an “inside” connection to the place and people. 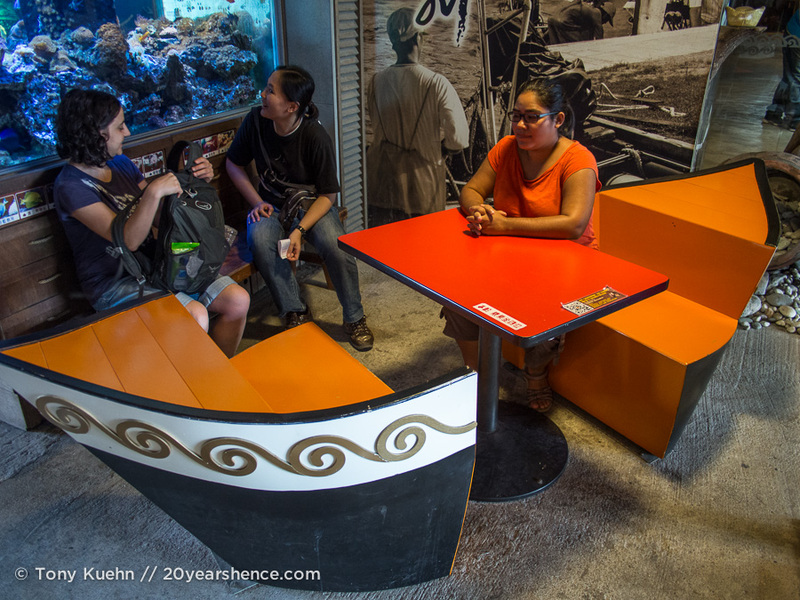 That sounds like an incredible experience—Taiwanese hospitality is like no other! And you’re absolutely right that you see countries in completely different ways when you have local knowledge to help guide your journey. It’s our favorite way to travel! It’s kind of amazing that ALL of your couchsurfing hosts turned out to be such amazing people. This definitely reinforces what I’ve heard about the kind people of Taiwan. Incidentally, the kindest person I’ve encountered on my travels was the Chinese manager of a B&B we stayed at in Yunnan. She went above and beyond the call of duty, treating us more like family than customers. By the end of our five night stay, I thought of her as a friend, even calling her from our next destination to let her know we’d arrived safely (after she’d arranged our train tickets and taken us to the station.) It’s a shame that trait has been lost in much of the mainland. I’m still amazed that we’ve yet to have a single bad CS experience, but then again, we really do make the effort to thoroughly read about our potential hosts and if we can’t find people we think sound compatible with us, we just don’t send a request. For us, a huge part of CS is the people you meet, not getting a free place to stay, so we’re very selective and I think that’s really why we’ve been so lucky. What an incredible story about that B&B manager in China! If we had met more people like that while in the country, I’m sure we would have had a vastly different experience. As it turns out, we had a similar thing happen to us in Hue, Vietnam! It’s always so nice when people in the service industry go above & beyond and make you feel like family. I love couchsurfing! So far I’ve only hosted but I’m excited to try couch surfing in different countries. I’m glad you’ve had such good experiences – I’ll definitely be using your techniques of finding a few hosts that I’d see myself hanging out with. We enjoyed acting as hosts as well, but for sure actually getting out there and surfing has opened our eyes to how great this program can be. We’ve had such a great time as surfers that we’ve both vowed it will change the way we act as hosts when we go home. We were definitely more hands off & laid back, but now we’ve had a taste of what real hospitality is like and we want to pay it forward! I’m sure you’ll have an amazing time once you’re out there traveling—some hosts we’ve clicked with better than others, but in the end, we’ve always been glad we chose to CouchSurf and met the people we did. I loved hearing about your Taiwan couch surfing experiences over dinner in Cambodia, it’s so nice to put faces to the names. For me on of the best things about travelling has been some of the amazing people we’ve met from all walks of life. Yes, it’s so funny to me now to think about how when we were planning our trip, we were more focused on the places we would go and the things we would see & now we’ve come to realize that meeting people and having those encounters you never find in a guidebook have actually become our favorite part of traveling. Meeting up with you & Paul was certainly one of our highlights in Cambodia, and I can’t wait to write about it (and of course, to see you guys again one day!). 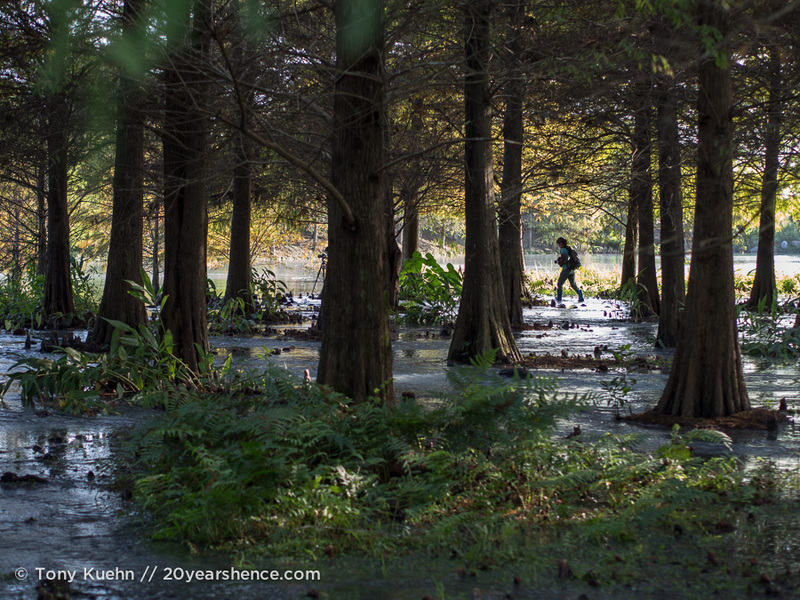 I was wondering how you could POSSIBLY follow an act like Jackie’s… but you pulled it off! As I read on, memories of my own came rushing back and I recalled people who showed me this sort of kindness and openness while I traveled and (arguably) needed it the most. Such a great post. Such great memories. And yes, you will definitely cross paths again. This is speaking from experience. It’s just a testament to how awesome the Taiwanese are that we met so many people who took as good care of us as Jackie did. While he is certainly one in a million, every one in Taiwan treated us so incredibly well it was easy to feel spoiled. Making those kind of connections really energize us and are critical when you travel long-term. We look forward to reconnecting with people we’ve met along the way and forming new friendships too! Wow. 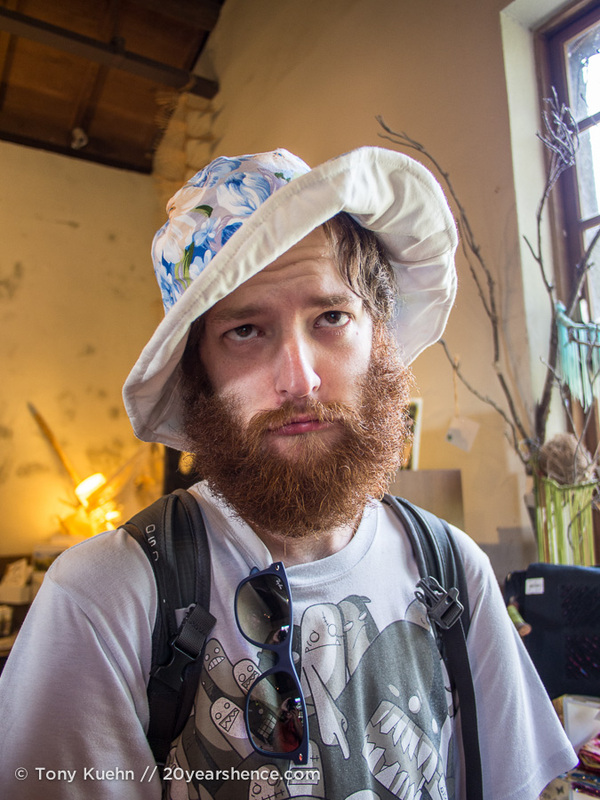 Thanks so much for this great write-up of your couch surfing experiences. I’m definitely not an introvert, but Shawn is, and I always worry that I’ll end up doing the “heavy lifting” of social interactions. I also worry that he would be too uncomfortable to do it. But I think it’s worth a few tries. It seems like the best way to really get to know a place and its people and get the insider tips. I am seriously considering Taiwan now after all these posts. And not just for the food now! You can always start slow if you’re really worried—most places have CouchSurfers who, for whatever reason, aren’t able to host but are interested in meeting up with travelers for a meal or coffee. That could be another really rewarding way to connect with a local without having to worry about sacrificing too much private time. We actually did this once in Malaysia, and it was still tons of fun! Also, the CS website often has larger weekly meetups in whatever city you happen to be visiting (provided it’s fairly large, or has a very active CS community) so that’s another way to dip your toes in. We left on this trip vowing to try some things that we normally wouldn’t in an attempt to break out of our comfort zone and grow. I really didn’t think I’d love CouchSurfing, but it’s added an undeniably awesome element to our travels and I’m so glad we gave it a shot. We still don’t do it all that often because our plans are always in flux, but whenever we’ve made the effort to Surf, it’s always paid off! Hello Steph! I am a Taiwanese and I’m so glad that you like Taiwan this much! I’m pretty sure that most Taiwanese are very hospitable and we’re proud of it! Thank you for this amazing article :-), hope you can come to Taiwan again. Nancy, so sorry for the tardy response to your comment, but thank your for leaving it all the same! 🙂 We didn’t have a single bad interaction with any Taiwanese people while traveling in your beautiful country so while I know it’s not fair to generalize, I feel pretty confident saying that Taiwanese people are definitely some of the kindest and most generous on the planet! You had better believe that we’ll be returning one day!